For the first time ever you’ll discover how ordinary people like me are making thousands online in their spare time. Believe it or not, you can turn the time you spend scrolling through Facebook into a passive income... all with just a few simple clicks. It’s crazy to think not everyone is doing this right now!...harnessing the power of social media is one of the quickest and easiest way to start a cashflowing business and quit your day job. 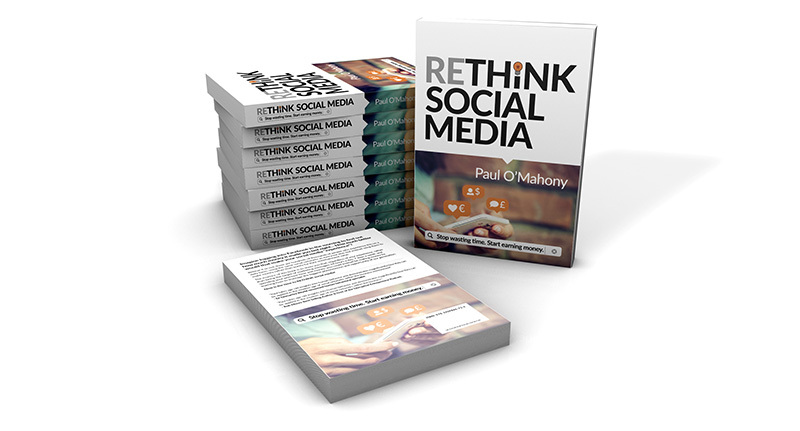 Rethink Social Media shows you that regardless of your experience, you can be making money on Social Media. Discover how to use Facebook, Twitter and Instagram to access billions of people every single day. Generate thousands of followers and learn the cutting edge techniques to mastering Social Media and create a job replacing income! In this book you’ll learn the proven systems and processes to making money online, all you have to do connect people. Rather than being the target of marketing messages 24 hours a hour, 7 days a week, you could instead be making money and changing your life, all through harnessing the power of Social Media. Imagine logging into Facebook in the morning to find out how much money it made you last night... How much better would that make your social media “experience”? Stop wasting time. Start earning money. Now is the time to RETHINK Social Media! How to make £5,000 per month passive income!